Do you think a couple should always stay together? We don’t believe it is our place to tell you whether you should be together or not, as this is a deeply personal decision. 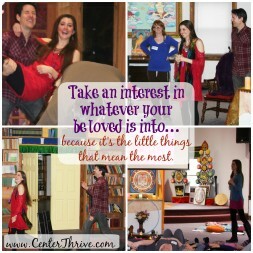 Instead, our role is to help you uncover what’s possible in your relationship. 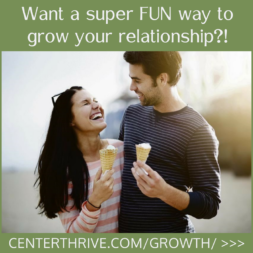 What we’ve found is that most couples are only experiencing very little of their potential for a thriving, healthy, conscious, loving partnership. Most of us don’t learn anywhere how to have a great relationship, and there certainly aren’t many inspiring role models either. We have worked with countless couples who felt miles apart, who worried they had fallen out of love, and who felt like their problems and pain were too big. 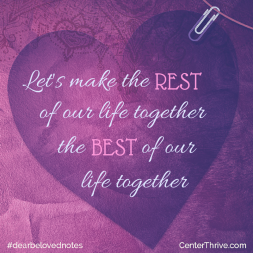 Through counseling, they realized they actually needed, not to break up, but to start over together with so many new insights on how to make things wonderfully work. Once couples realize how great their relationship can be, how fabulous it can feel to be loved and supported in the ways you’ve been longing for, they oftentimes eagerly want to stay together and can’t imagine what they would have been unknowingly giving up. However, some couples, after going through the process, realize that they want different things, in a relationship and in their lives. These couples get to leave things on much better terms, had the opportunity to learn some amazing tools they can use for the rest of their lives, and have the comfort of knowing they really tried everything they could before ending it all. Plus, if they are parents together, nearly everything we do in couples counseling also applies to co-parenting and can be enormously helpful. We also realize that the decision to stay married is sometimes a religious one, and we assure you that we will fully honor your religious and cultural beliefs and warmly welcome and embrace people of all backgrounds.